This hasn't been out of the fridge for very long and it's still a few weeks away from being fully ripe so it is firm but there are hints of a creamy interior visible . It's evident that it's been designed to fit neatly on a cracker, even so, it shouldn't be dismissed on the basis of a marketing ploy. 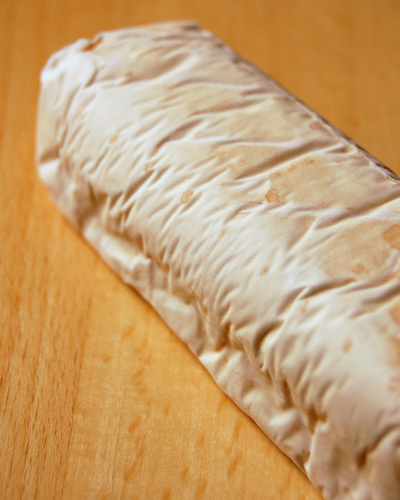 I found the cheese to be quite rich with excellent levels of fat that give you that enjoyable creaminess in the mouth. 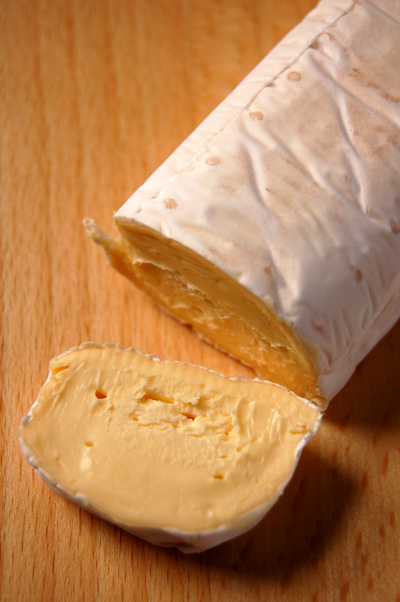 The rind is delicately flavoured with earthy scents. 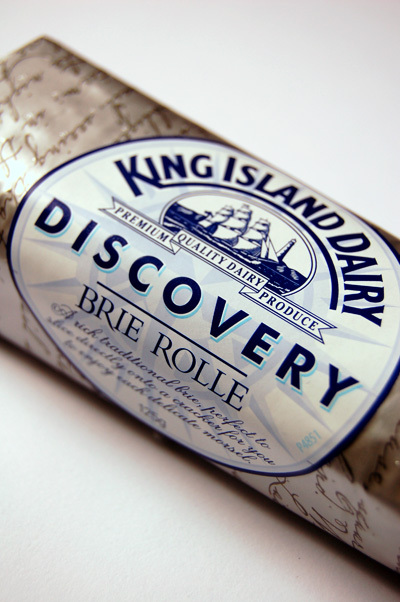 Since King Island Dairy is a larger brand, you should be able to find this at larger supermarkets. Check out their website for more information: King Island Dairy.